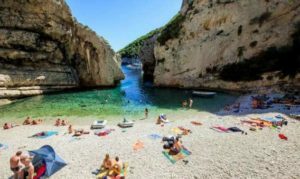 By Saron Lease, 19th April 2019 According to Julie Delahaye, Online Travel Writer for the Mirror, these are the best Croatian beaches you just have to visit: 1. 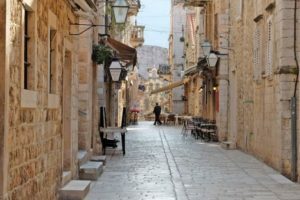 By Saron Lease, 27th March 2019 The Dubrovnik Times reminded us that there are ways to help that precious holiday money go further, whilst at the same time immersing yourselves more into Croatian life. 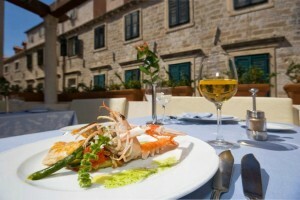 By Saron Lease, 23rd March 2019 According to The Dubrovnik Times, as well as new stars for restaurants Noel (Zagreb) and Draga di Lovrana (Lovran), taking the number of Croatian Michelin starred restaurants to five, Michelin has awarded its Bib Gourmand rating to a further four restaurants taking that number to eight. 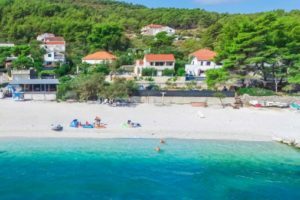 By Saron Lease, 19th March 2019 ES Homes and Property suggests that if you're planning a holiday home search this year, Croatia is one of the countries that has hot buys you should know about. 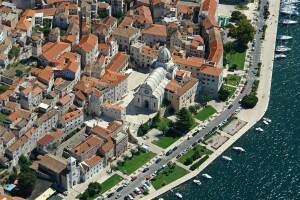 By Saron Lease, 13th March 2019 According to Global Finance, Croatia lies 22nd in its ‘2019 Global Finance ranking of safest countries in the world’ beating countries like the UK (38th), USA (65th), France (36th) and the Netherlands (31st). 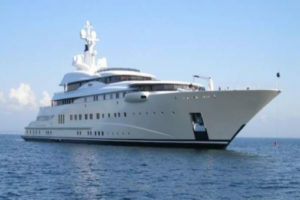 By Saron Lease, 9th March 2019 Croatia’s main hotspots of Dubrovnik and the islands are favourite holiday destinations for many of the rich and famous, but as the Dubrovnik Times reports, little known Skradin is the place much loved by philanthropist Bill Gates. By Saron Lease, 7th March 2019 According to CNN Travel, you should make an effort to visit Croatia's amazing Stivina Beach on tiny Vis island. 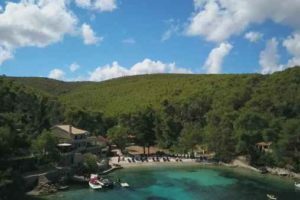 By Saron Lease, 23rd February 2019 The Telegraph has put forward its choice of the top ten most beautiful Croatian seaside towns. By Saron Lease, 20th February 2019 The Academy of Motion Picture Arts and Sciences has announced the 91st nomination of Oscars, and included are three for the film Cold War set in the stunning city of Split, beloved by so many for its vibrancy, history and culture. 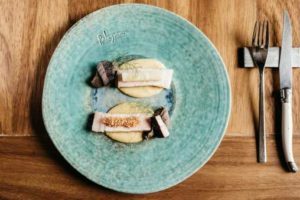 By Saron Lease, 18th February 2019 According to the Michelin Guide, the Pelegrini Restaurant in Sibenik on the Dalmatian Coast of Croatia, has been awarded a Michelin star. 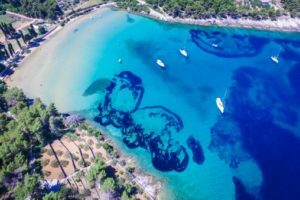 By Saron Lease, 12th February 2019 According to TimeOut, the Seasplash Festival moves from Pula to Sibenik for its 17th year. 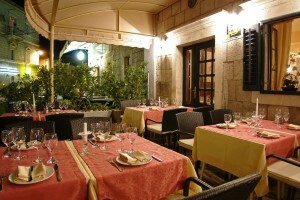 By Saron Lease, 15th February 2019 So what to see after you have immersed yourselves in the sights and sounds of Split’s Old Town and you need a rest from the beach? 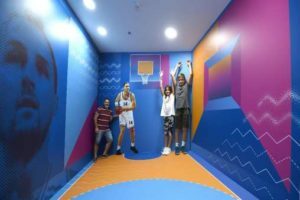 By Saron Lease, 14th Febuary 2019 According to Travel Weekly, more than one in four consumers will spend more on their holidays this year, according to new figures from Abta. 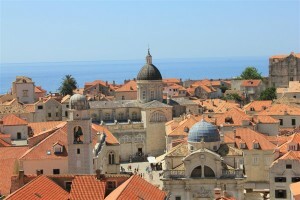 By Saron Lease, 8th February 2019 TripAdvisor has voted Dubrovnik as one of just ten European places to make it into its long list of the most romantic destinations in the world for 2019. 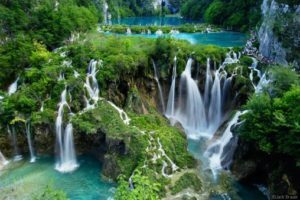 By Saron Lease, 29th January 2019 According to The Evening Standard, Croatia is one of Europe’s great travel success stories. 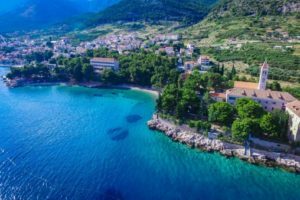 By Saron Lease, 28th January 2019 According to Under Scoop Fire, for those seeking to limit their holiday budget but who have the travel bug, Croatia is fast becoming a go-to destination. 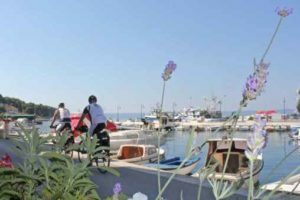 CROATIA CYCLING HOLIDAY – FANCY A CROSS-BORDER BICYCLE HIKE? By Saron Lease, 23rd January 2019 Croatia cycling holidays areon the up and National Geographic reports that the Trans Dinarica, a new cross-border cycling route, presently connects Slovenia, Croatia, and Bosnia and Herzegovina, beginning in Slovenia’s Soča Valley, near Italy, then heading south along Croatia’s Adriatic coast, including Croatia’s stunning islands, before turning east and ending in Sarajevo, the Bosnian capital. 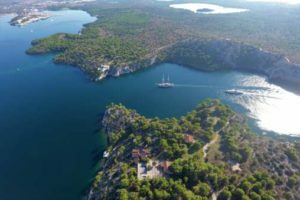 By Saron Lease, 23rd January 2019 According to the Washington Post, (and we at Croatia Gems agree), sleepy Sibenik (pronounced she-be (like 'be' in bed)-nick) is having a renaissance, so now is the time to discover it. 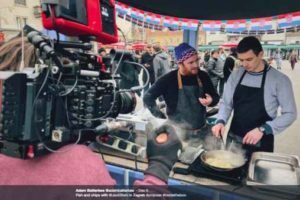 By Saron Lease, 18th January 2019, According to Croatia Week, The European Film Commissions Network (EUFCN) has announced the finalists in the European Film Location Award for the best European location. 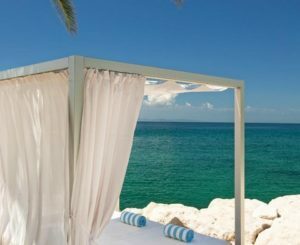 By Saron Lease, 1st January 2019 According to CNN Travel, the movement of the wind on Zlatni Rat beach means that one side of the beach promontory takes the full impact, making it a great spot for wind and kite surfers. 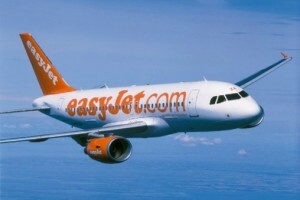 By Saron Lease, 2nd January 2019 In order to ‘beat the post-Christmas blues by making some New Year's travel resolutions’ easyJet is discounting up to 20% off 400,000 seats to some European destinations. 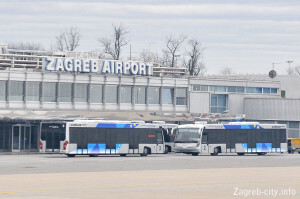 By Saron Lease, 30th December 2018 According to Avioradar, Croatia Airlines, the Croatian national air carrier, has announced that it will boost the number of Croatia flights to Ireland on its Zagreb - Dublin line, which began flying at the beginning of May 2018. 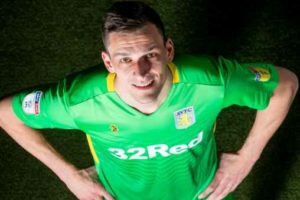 By Saron Lease, 26th December 2018 According to the BBC, Championship side Aston Villa have agreed to sign Croatia football hero goalkeeper Lovre Kalinic on a four-and-a-half-year deal. 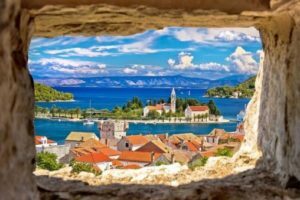 By Saron Lease 22nd December 2018 If you're thinking of a city break, with flights to Croatia increasing outside of the summer holiday season, Croatian cities are getting more and more attention on the short stay destination map. 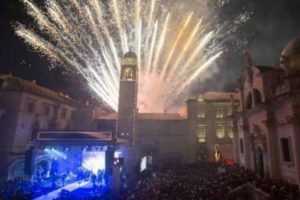 Where to Celebrate New Year’s Eve in Croatia! 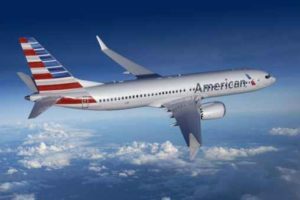 By Saron Lease, 22nd December 2018 According to Croatia Week American Airlines have published schedules for direct flights 3 times a week from Philadelphia to Dubrovnik. 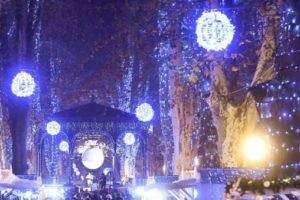 By Saron Lease, 22nd December 2018 If you have a weakness for Christmas Markets you have to head for Zagreb, Croatia's stylish capital city, where they don’t just have one Christmas Market they have 14! By Saron Lease, 22nd December 2018 According to Reuters the Croatian Government raised the number of licenses for foreign workers in 2019 in an effort to make up for shortages of skilled domestic workers, notably in construction and tourism – the number has increased from 38,769 to 65,100. By Saron Lease, 19th December 2018 Afar’s 3rd Annual Travelers' Choice Awards has been published with over 100k of votes for the most desirable destinations to visit in 2019. 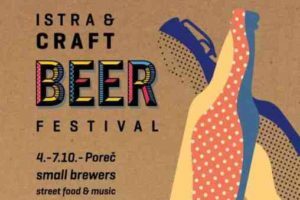 By Saron Lease, 18th December 2018 In a boost to Croatia food, Jack Stein has been out and about in Zagreb! 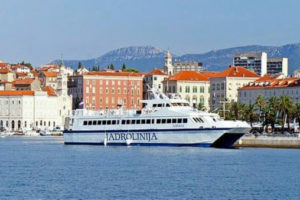 By Saron Lease, 8th November 2018 According to Slobodna Dalmacija News, Tourists travelling to Croatian islands in 2019 will benefit from early publishing of the ferry timetables. 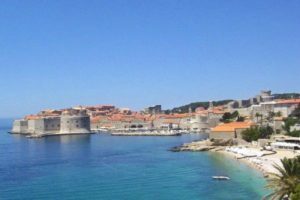 By Saron Lease, 18th October 2018 Croatia visited 18 million tourists in the first 9 months of 2018. 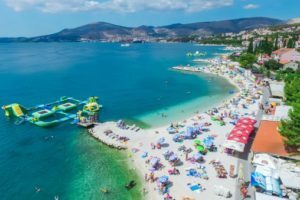 Renowned for having the clearest and cleanest water in Europe, one Croatian beach has made popular tourist search engine Skyscanner’s list of 10 of the World’s Best Beaches! 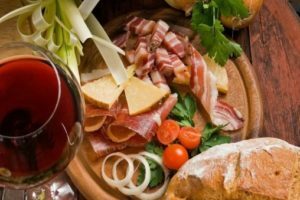 By Saron Lease, 22rd October 2018, According to Total Croatia News Sial, one of the most important international food fairs, opened it’s doors on Sunday in Paris ( 21st – 25th October ) representing Croatia is Prsut Vostane with it’s lovely Prosciutto. By Saron Lease 18th October 2018, According The Dubrovnik Times, the ceremony was held at the Theatre Rialto in Montreal last week and Croatia was up against stiff competition from Mexico/Dominica and Portugal. By Saron Lease 4th October, 2018 According Croatia.hr, the autumn always brings an abundance of new excitement, entertainment and fantastic concerts. 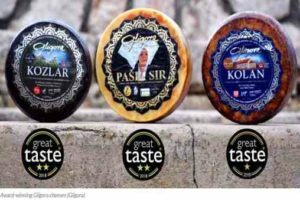 By Saron Lease 10th August, 2018 According Croatia Week, Croatian cheese producer Sirana Gligora from the island of Pag has claimed three awards at the Great Taste Awards in the UK. 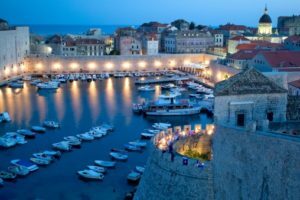 By Saron Lease August 2018, According Norwegian Air, new flights to Croatia from the UK for 2019 will operate to Dubrovnik, Pula, Split and Zadar. 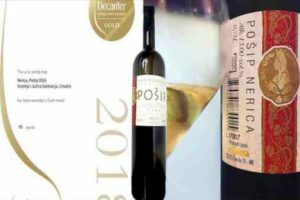 By Saron Lease 30th May, 2018 According The Decanter, Croatian wines have scooped 10 gold medals at the world’s largest wine competition. 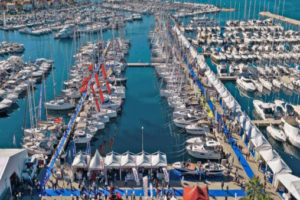 By Saron Lease 1st May, 2018 According Ilinija d.d., Marina Kornati, theBiograd Boat Show will be held on 18th - 21st Oct 2018 - is the largest boat show not only in Croatia but also in Central Europe.The show gathers more than 300 registered exhibitors and 300 boats, and presents more than 1,500 charter boats. 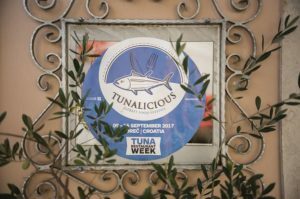 By Saron Lease 16th September, 2018 According Porestina.info, for the fourth year the biggest Big Game Fishing tournament in Croatia - Offshore World Challenge – will take place from 12th to 15th September 2018 in Porec and will be accompanied by the fantastic Tunalicious Street Food Festival, whose programme will last from 13th to 15th September. By Saron Lease, 22nd August, 2018 According 24Sata.hr, the Adriatic Sea has for years been an attractive place for rich people to sail their yachts. 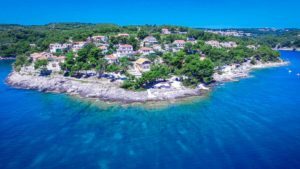 According Croatia Week, 20th August, 2018 A number of celebrities have chosen to spend time this year holidaying on the Croatian coast. 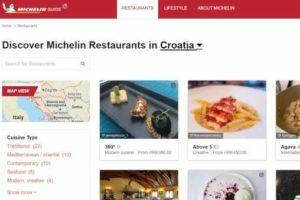 According Just Dubrovnik, 3rd July, 2018 Wine Spectator - the leading authority in the world of wine whose print edition is tracked by over 3 million readers, has published a list of restaurants awarded the prestigious Restaurant Award. READY TO DIVE FOR CROATIA’S FIRST UNDERWATER WINERY? 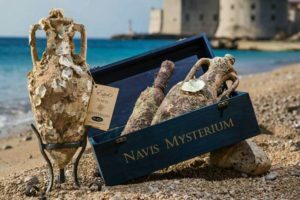 According The Globus, 9th July, 2017 Ready to Dive for Croatia’s First Underwater Winery - Why is everything and anything underwater so much cooler? 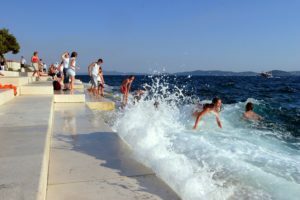 According to eVisitor, 4th July , 2018 from 1 January – 30 June 2018 a total of 6.4 million tourists visited Croatia, which is a 12% increase from the same period last year. According The Dubrovnik Times, 6th February, 2018 Dubrovnik has been a magnet for celebrities over the centuries. 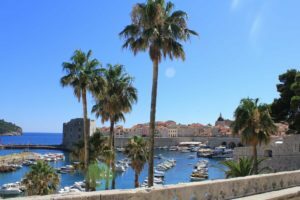 According The Dubrovnik Times, 18th August, 2018 Prices for Property in Croatia soared by more than 3 % in the last year according to a survey conducted by internet website Njuskalo, based on a sample of 155,000 active real estate adverts placed on their site.